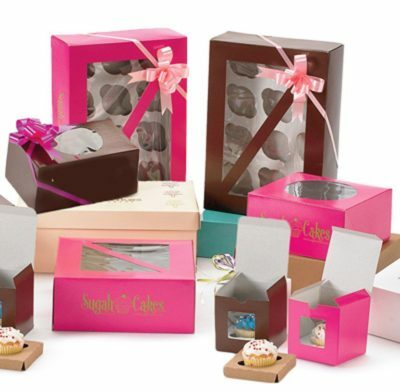 Get Your Custom Box for 5 cupcakes – Wholesale Box for 5 cupcakes with Logo Made in Custom Shapes, sizes, and layouts. We offer quality and error-free packaging services with free shipping in the world. Box for 5 cupcakes: THESE CUPCAKE BOXES ARE IDEAL FOR BAKERIES AND PATISSERIES, OR FOR GIVING A CUPCAKE IN AN ORIGINAL LITTLE BOX. You can also add a holder when buying your cupcake box, to safely transport them home. You will also find our cupcake trays, perfect for parties and events. This box for 5 cupcakes is made up of three pieces: one cardboard base, one holder for cupcakes (optional) and one transparent plastic cover. It is available with a plastic cardboard food coat. It is a box which is very easy and quick to mount given it does not need any type of glue. Combine the colour of its base and its holder as you like it. This box is designed to hold 5 cupcakes, 5 muffins or cookies. Because of its easy and quick assembly it is perfect to use it as a bakery or candy gift box. It is also available with a plastic food coating. You can buy it without a holder and use it as a baby shower favour box for clothes or small complements. A lovely gift box! IN THIS SECTION YOU WILL FIND A WIDE RANGE OF CUPCAKE BOXES IN DIFFERENT SIZES, HEIGHTS AND MODELS. From different cupcake boxes to boxes for 2,4,5,6 cupcakes, and definitely the largest of the family, the 12 cupcake boxes. Thanks to the transparent lid the cupcakes can be seen in all their brilliance. You can also purchase Boxes for 5 cupcakes with holders to securely transport them home. Choose the most original box for your cupcakes in the size, shapes and colour you like the most, with or without a holder and with or without a handle. They are ideal for birthdays, weddings, christenings and events. You choose the event to give your cupcake box, the choices are endless!